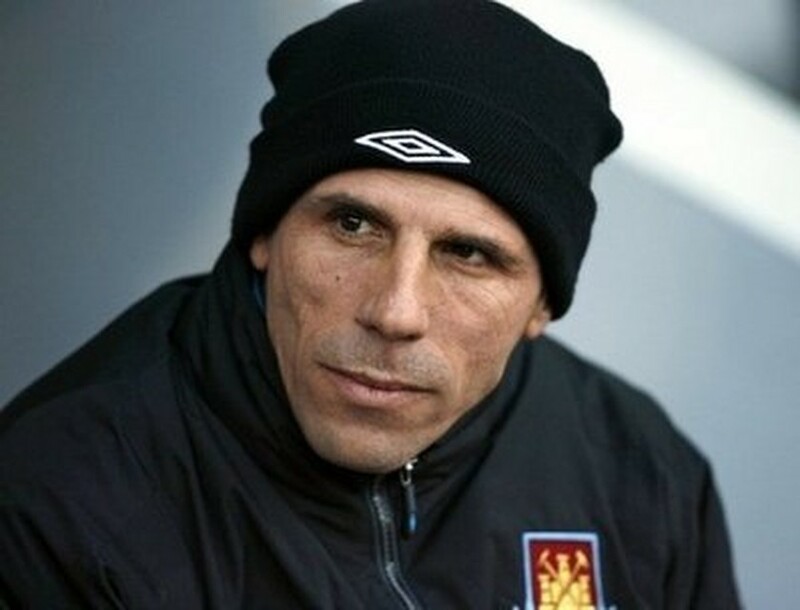 LONDON (AFP) – West Ham have sacked manager Gianfranco Zola, the Premier League club confirmed on Tuesday. Zola was widely expected to leave Upton Park following a turbulent campaign which saw the club's co-owner David Sullivan strongly criticise the Italian and his players following a series of disappointing results. Former Chelsea star Zola just managed to keep his side in the top-flight, but they finished only one place above the relegation zone and he has paid the price for his faltering relationship with the club's owners. "West Ham United confirm that they have terminated the contract of Gianfranco Zola," a statement on the club's website read. Zola, who arrived at West Ham in September 2008 for the first managerial role of his career, admitted after the team's final game of the season, a 1-1 draw with Manchester City on Sunday, that the chaotic nature of West Ham's campaign had caused him to lose some of his love for football. Sullivan had piled the pressure on Zola when he slammed a 3-1 home defeat against Wolves as "pathetic" and the Hammers boss had contemplated quitting fter a 1-0 home defeat against Stoke on March 27, the team's sixth successive loss, left them just above the drop zone. But, following a weekend trip back to Italy to clear his head, the 43-year-old vowed to carry on and ensure his club stayed up. A gritty draw at Everton and wins over Sunderland and Wigan guaranteed West Ham's survival, but there was never much chance of Zola remaining in charge. The search for his successor is likely to see Sullivan and co-owner David Gold consider Croatia boss Slaven Bilic, who is a former Hammers star, ex-Manchester City manager Mark Hughes, Portsmouth chief Avram Grant and Birmingham manager Alex McLeish. Former West Ham striker Tony Cottee, who starred for the Hammers in the 1980s, believes Sullivan and Gold were right to act quickly over Zola's future so they can concentrate on bringing in his replacement. "I am pleased they haven't messed around and it dragged on for months," he told Sky Sports News. "If they are going to do it, get it done, but the fans will judge it on the calibre of the manager coming in. "I think Gianfranco has done a decent job in difficult circumstances. But having said that the results haven't been good enough and obviously the board have now made a decision. "What I would criticise the board for is not sacking him when they first arrived at the club. It did appear right from the start that Zola was not their man." Cottee believes Bilic would be the perfect appointment at Upton Park and he added: "The fans want a manager who will bring success. The right man for me is Slaven Bilic, I think he is head and shoulders above the other candidates. "I would love to see him return to West Ham. He has had a great experience with Croatia but they didn't qualify for the World Cup and if West Ham could give him an escape route I think he would take it."